Trump Whines About Social Media "Censorship" - Joe.My.God. This is probably about Alex Jones, wouldn’t you say? 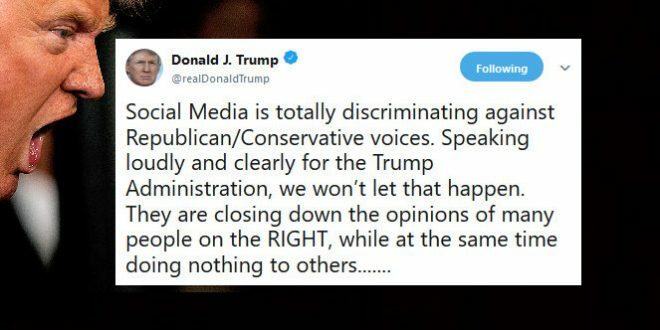 President Trump on Saturday charged that social media is “totally discriminating against Republican/Conservative voices” and argued that the platforms should allow both “good and bad” content online amid an ongoing debate over social media’s role in policing content online.